This morning’s wedding is so SO SO pretty. And I mean super pretty with a capital P. What’s even better though is that Tabitha and Paul designed and styled all of their gorgeous wedding decor by themselves. 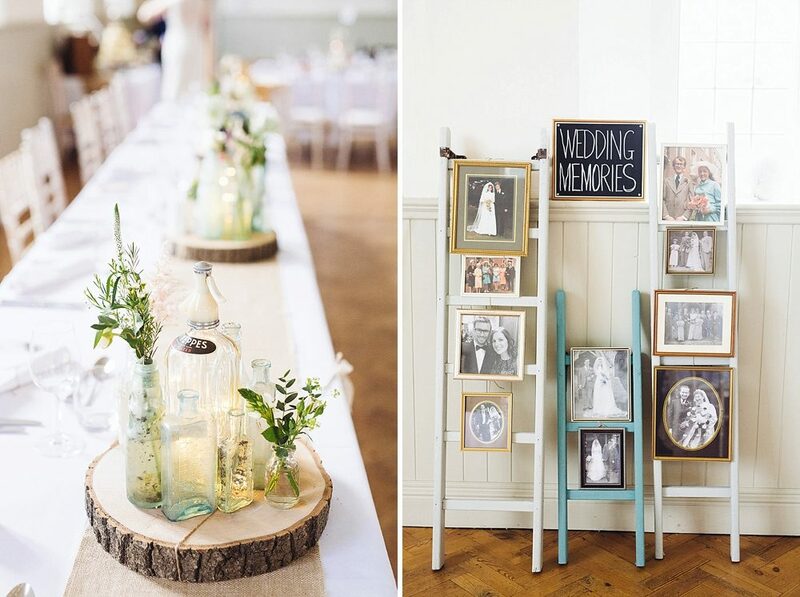 When Tabitha spotted the recently refurbished Hastoe Hall complete with high ceilings, original parquet flooring, fire place and vintage fire exit signs she knew she’d found her perfect venue. Fast forward several months, a dollop of amazing festoon lighting, vintage funfair games, typewriters, old ladders and beautiful soda syphons and they had a reception to die for. 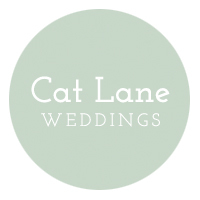 Talented photographer Cat Lane Weddings captured all the action. Pinning fingers at the ready! 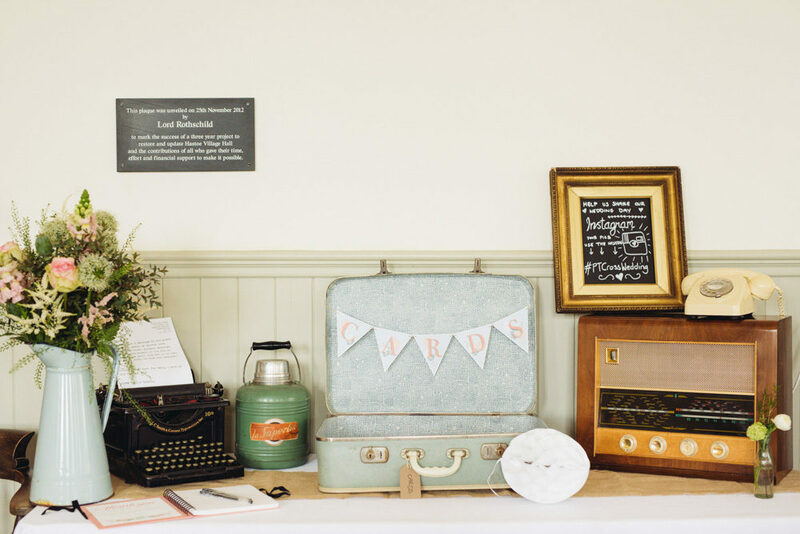 Tabitha The Bride: Paul and I love anything retro and vintage so it was only right to reflect us as a couple that we created a wedding with such a theme. 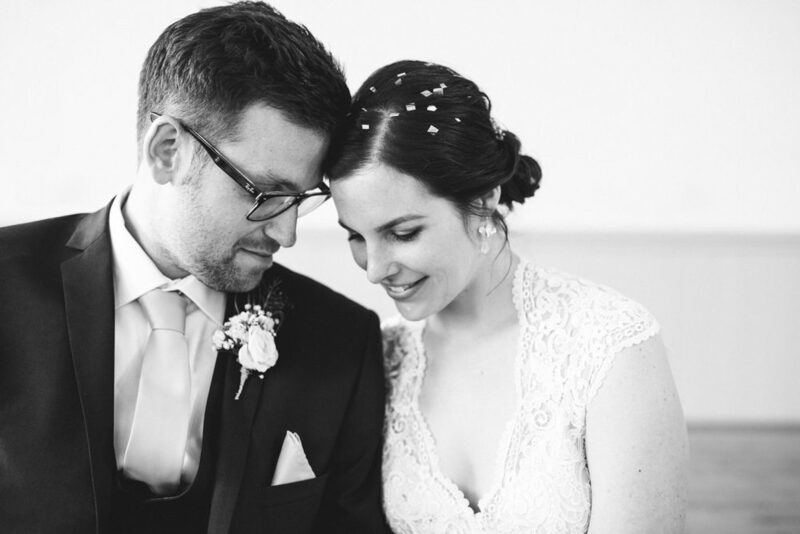 My dress really set the scene for this with its vintage lace feel, partnered with gorgeous art deco style earrings which was repeated as a hole punch on the invites. For us, it’s all about the detail. 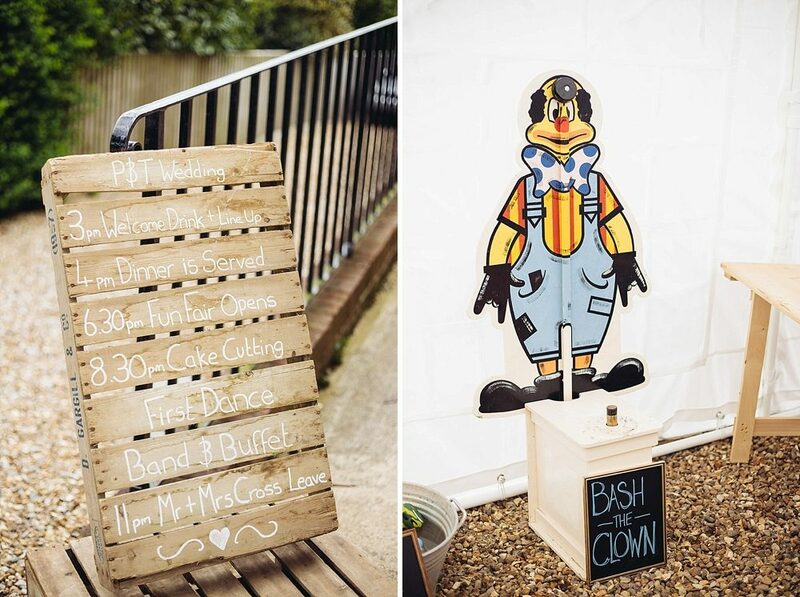 When searching for a reception venue we knew we wanted something that enabled us to have a DIY wedding, but we dreamed of character and quirkiness. When I suggested Hastoe Hall, Paul said “What that old place? it’s horrible!” Little did he know it had recent lottery funding and the most wonderful make over, restoring all the original features, including parquet flooring, fire place and vintage fire exit signs! The hall has wonderfully high ceilings with large windows, all of which just created a light and bright room. Our perfect blank canvas. Paul had the idea of using soda syphons as our centre pieces as we’ve always loved them and bought one in Rome where we got engaged. Paul searched car boots every weekend collecting Soda Syphons and old bottles. He carefully drilled holes in the bottom of the syphons and fed in LED fairy lights to create the most wonderful and enchanting lights. 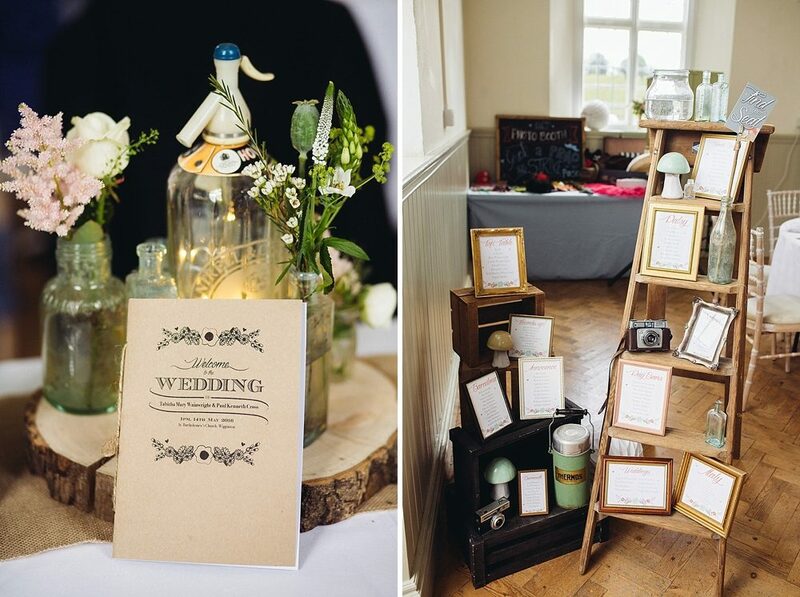 Placed on a rustic piece of wood, surrounded by vintage bottles the light just reflected and danced around the centre pieces. 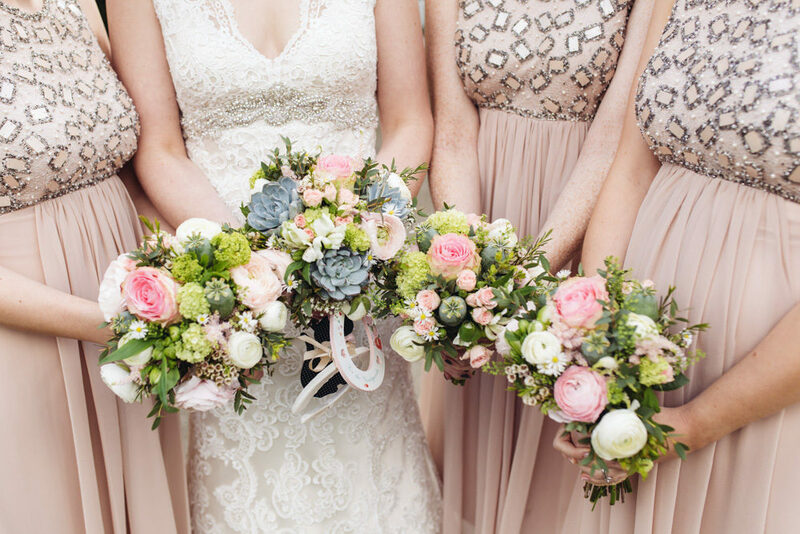 With the addition of a few floral stems our vision had been created. 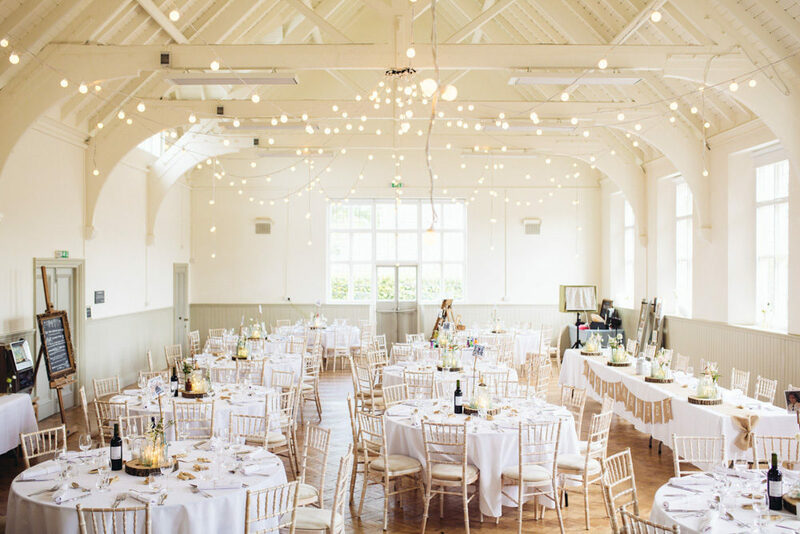 Lights have such a huge impact on a space and the festoon lights we had installed just finished off that romantic, soft, glittering style we’d been aiming for. 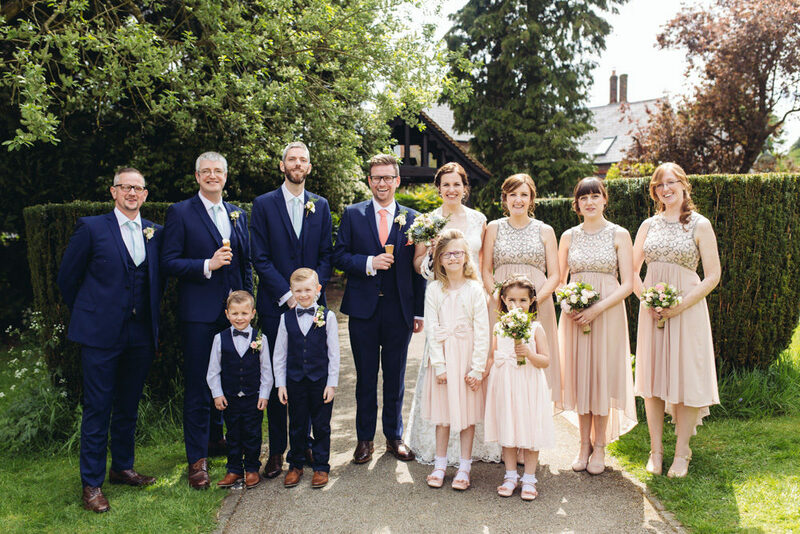 The colour scheme was blush pink, duck egg and hints of coral which were reflected across the wedding party, invites and all wedding stationery that I designed. Paul was in charge of our fun fair entertainment and bought an original one armed bandit machine for our guests to play on. It only works with pennies pre 1991 so we started to collect old pennies as our wedding favours. The outside wedding games were mostly hand made and kept the guests entertained and offered a quiet spot to retreat too. After the ceremony we’d organised for a vintage ice-cream bike to arrive, creating a fun and relaxed atmosphere for our photos. Also another reflection of our Italian engagement! Everything we did had a meaning or purpose. 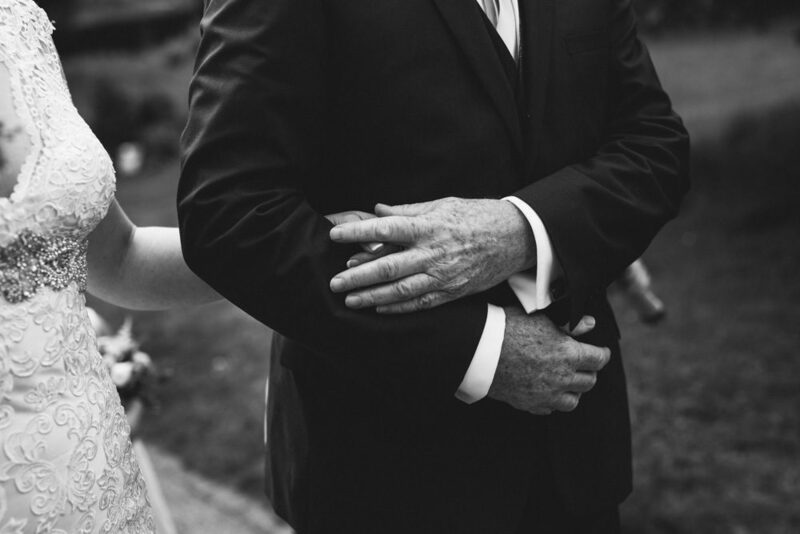 We always knew we’d be married in St Bartholomew’s as six generations of Paul’s family have been married here, so it was only right to carry on such a wonderful tradition. During our Church ceremony the vicar made reference to the Church’s significance and heritage. Our reading, read by Paul’s Mum, was ‘The Lovely other Dinosaur’ by Edward Monkton. A fun, whimsical, silly but also romantic reading. It just reflected us as a couple perfectly! Ultimately our aim was to create a day that reflected us as a couple, our journey together, likes and loves. 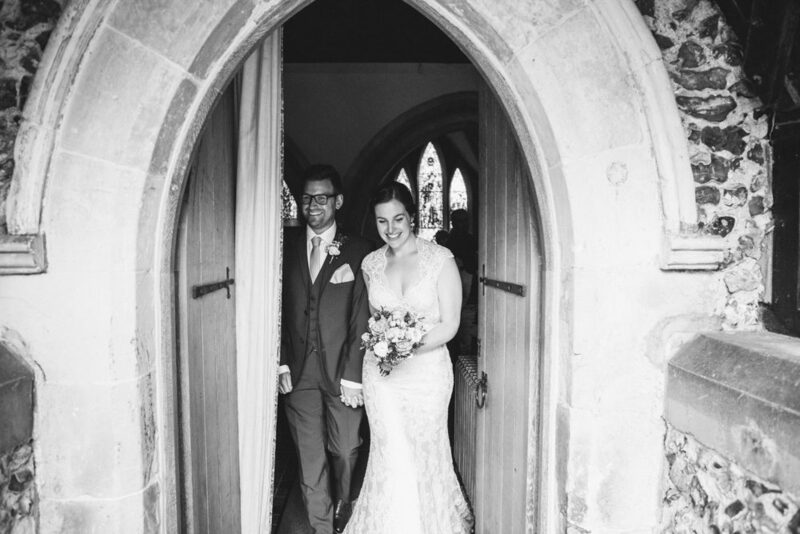 The feedback we’ve received from our guests has just been so amazing, some quoting it was the best wedding they’ve ever been to! And many commenting on how personal, thought about and memorable it was. This means the absolute world to us, it makes all the hard work worth it but more importantly we created a day that we adored and will remember so very fondly for the rest of our happily married life. 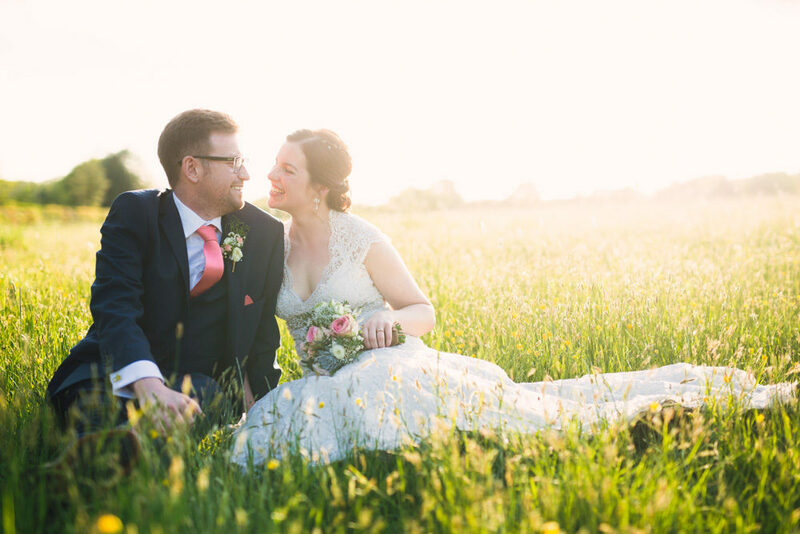 Thank you so much for the wonderful feature – Tabitha & Paul’s day was such a joy to photograph as it perfectly encapsulated who they are as people and the love between them. And it was great fun too! 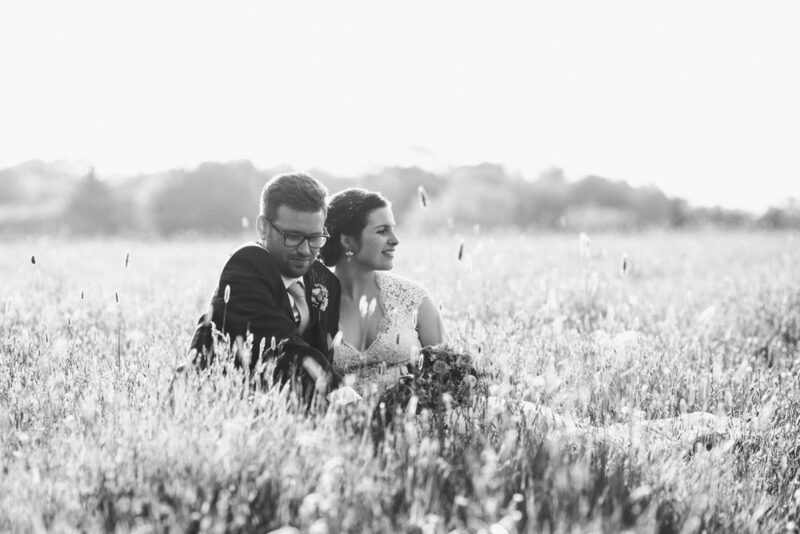 Overjoyed to have their vision and wedding day shared on RMW, thank you guys!! 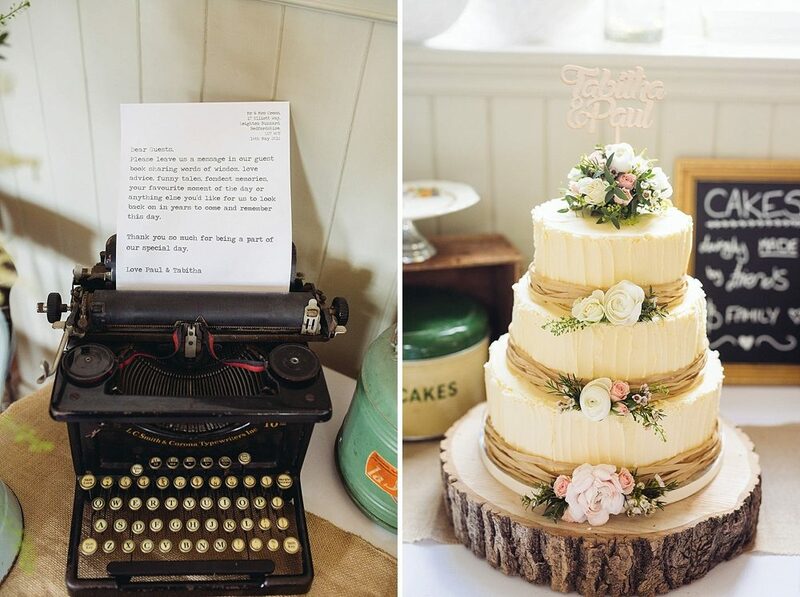 I love the rustic look of the cake! What did u use to make the “ribbon” on the cake?